Brigadier General John Adams (Ret.) recently argued that we don’t go into war with the army we have, “we really go to war with the army we decided to have 30 years ago.” This idea is especially relevant today, considering the effects that sequestration will have on the U.S. Armed Forces in the future. At a recent House Armed Services Committee Hearing, Pentagon Comptroller Robert F. Hale and other military officials discussed the Office of Management and Budget Sequestration Report. They made clear that if sequestration is enacted on January 2, 2013, the military will be forced into a dangerously decreased state of readiness. Excluding military personnel, sequestration will cut defense across the board by 9.4 percent. These cuts will be made indiscriminately and without attention to strategy, affecting everything from weapons modernization to research and development, procurement, maintenance, and overseas contingency operations. Cutting the budget for training will have a direct effect on America’s servicemen and women. Troops who are not adequately trained can be faced with dire consequences when in combat. 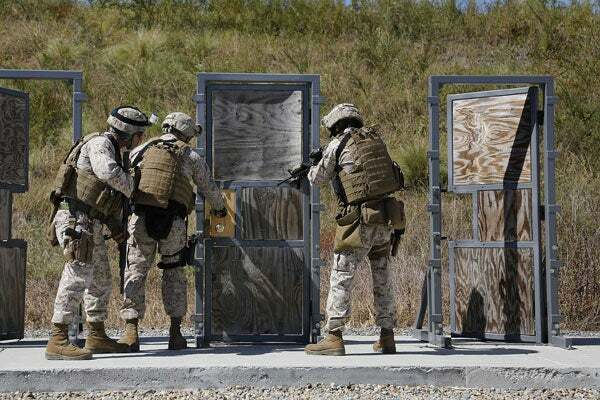 Chairman Howard “Buck” McKeon (R-CA)of the House Armed Services Committee warned, “When you say that we will be cutting back on training, that can cost lives and that to me is over the top. We’ve gone way too far.” In addition, training cuts will erode military readiness and have a formidable impact on the ability of the United States to adequately respond to future contingencies and conflicts. Bianca Falcone is currently a member of the Young Leaders Program at The Heritage Foundation. For more information on interning at Heritage, please visit http://www.heritage.org/about/departments/ylp.cfm.